Barclays is piloting Microsoft’s Surface technology in its Piccadilly branch. 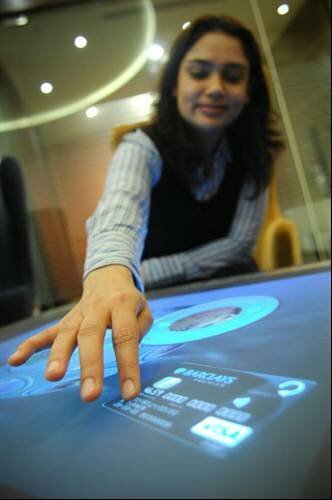 It enables users to interaction with digital content through natural hand gestures and touch. Barclays bank has opened a cutting-edge branch in Piccadilly Circus demonstrating how technology is changing the way the bank can serve customers. Alongside other advances, the bank is piloting Microsoft’s Surface technology, which enables users to interaction with digital content through natural hand gestures and touch. Pull-out wall mounts are an ideal solution for video walls, digital signage and single-screen recessed applications. Not only do these solutions allow for optimal viewing angles, they also provide installers with easy access to the back of the screens for easy installation and maintenance - saving valuable time and money.